Primary months of Operation are April through October. Long Hollow Ranch is a working guest ranch located in scenic central Oregon near Sisters. If you’re looking for a peaceful place to get away and relax for a few days or a week, you won’t find a more ideal setting. Dude ranch vacations are the heart of what we love doing at Long Hollow Ranch. We invite you to come along and experience the magic of our working ranch. This is the perfect way to “get away from it all” and find peace and perspective as you experience a simpler way of life on a cattle ranch. 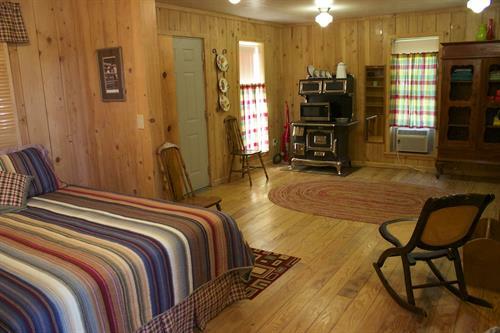 Long Hollow Ranch serves as a Bed & Breakfast for guests looking to stay a few days. Our comfortable rooms in the historic Ranch House are spacious and each include their own bathroom. The Ranch Cottage is perfect for families looking for more space. Guests are treated to a delicious homemade breakfast each morning, and additional meals can be arranged. Long Hollow is the perfect place to escape and relax, while enjoying the beauty Central Oregon has to offer. Fly fishing for Rainbow Trout May thru October. Wather dependent. From Sisters, proceed ~5 miles east on US 126 to Holmes Road. Turn left onto Holmes Road and proceed to mile post 8. Long Hollow Ranch is ~200 yards ahead on left.